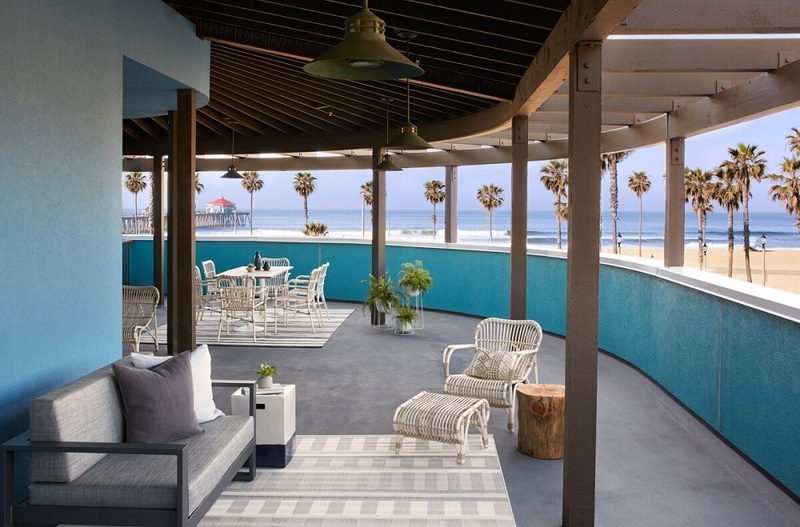 Kimpton Shorebreak Hotel has announced the completion of a major hotel update, refreshing outdoor spaces, lobby, all 157 guestrooms, and the opening of a new restaurant. 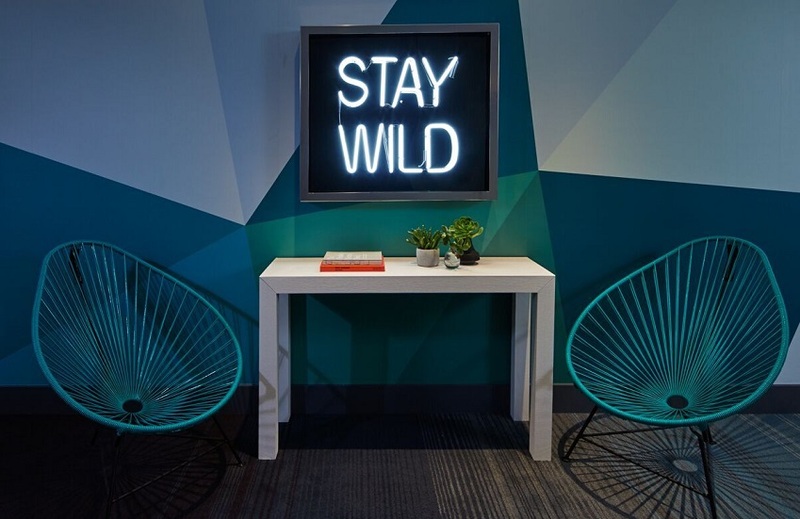 The updated rooms and public spaces now showcase a fresh take on Southern California style, incorporating modern graphics, moody ocean tones and windswept ripples paired with retro inspired prints and furnishings. The refresh comes on the heels of the new fitness centre launch, better known as ‘The Gym.’ The stylish 1,600-square-foot space includes the latest equipment and new workout tools, such as treadmills, truck tires, squat rack, kettlebells, medicine balls, resistance bands, power racks and more. 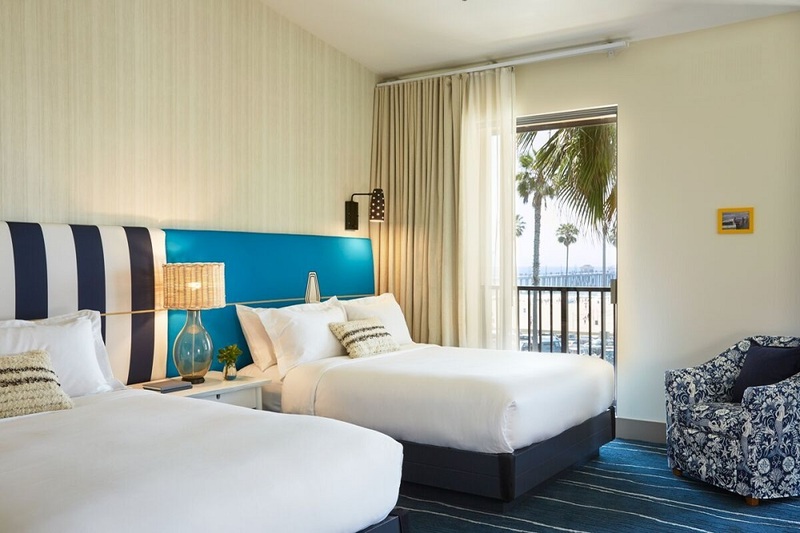 In addition, the hotel installed a 40-foot wide outdoor bouldering wall, adjacent to ‘The Gym.’ Coastal design elements include rustic and tropical alternating wood planks and marine colors, and a multi-panel mural of the Huntington Beach Pier. 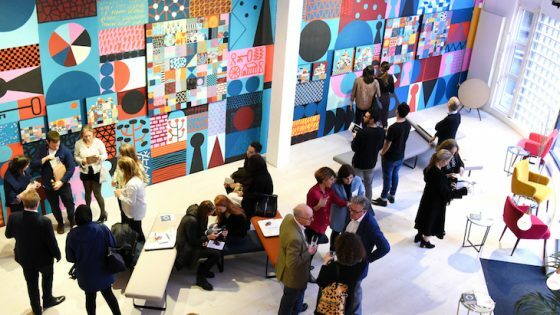 In total, over $3 million (£2.3 million) was dedicated to the updates since fall 2016. 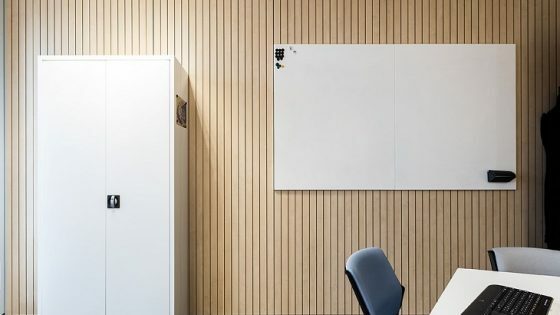 One of the goals of the revamp was to capture the essence of the local surf culture and truly wrap elements of the coast into all areas of the property. 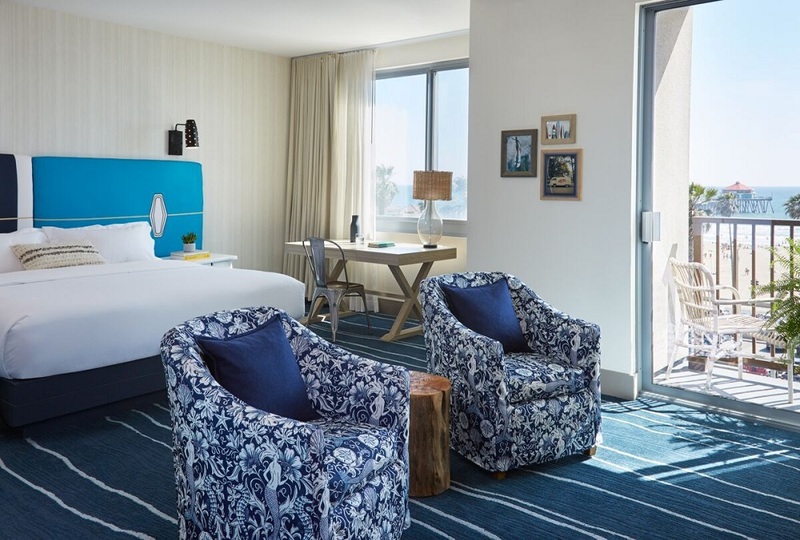 Drawing inspiration from the nearby historic Huntington Beach pier, as well as a bustling neighbourhood, Designer Theresa Fatino blended more sophisticated colors with lively patterns and retro furnishings that portray California fun. 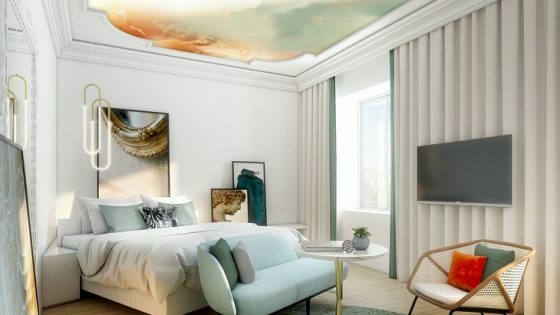 Hotel design elements include striped and solid vinyl headboards, fresh carpet and beautifully detailed furnishings, including retro surf lamps and patterned love seats. The color palette captures Southern California’s playfulness and relaxed energy and includes a range of blues, yellows, greens, among others. The upscale Southern California vibe continues externally, with an entirely repainted exterior in marine colors, including shades of blue and green. In addition, the Shorebreak announced the opening of Pacific Hideaway, a modern American restaurant, featuring a fusion of flavors from Southern California, Southeast Asia, Latin America, and Japan. The menu, curated by Executive Chef JT Walker, highlights small, colorful plates—from sushi rice cakes with ahi tuna poke, to fried avocado tacos with tamarind and chiles—and larger plates, such whole Mexican-beer-can chicken, served with salsas, tortillas, and other accoutrements. Designed as a casual, yet polished and global restaurant, Pacific Hideaway’s signature statement pieces include roll-up garage doors, a large hand-carved bar depicting ocean waves, an expansive patio and lounge and incredible views of Huntington Beach Pier and the Pacific Ocean. Fatino also incorporated vibrant colors, textures, and decor, including unique, hand-crafted finds from Mexico, Indonesia and Japan, with a Southern California vibe present throughout.